These beautiful Easter egg dyeing and decorating techniques are perfect for your Easter Basket. This Easter, take your eggs one step further with one of these fun, creative, and easy decorating techniques. 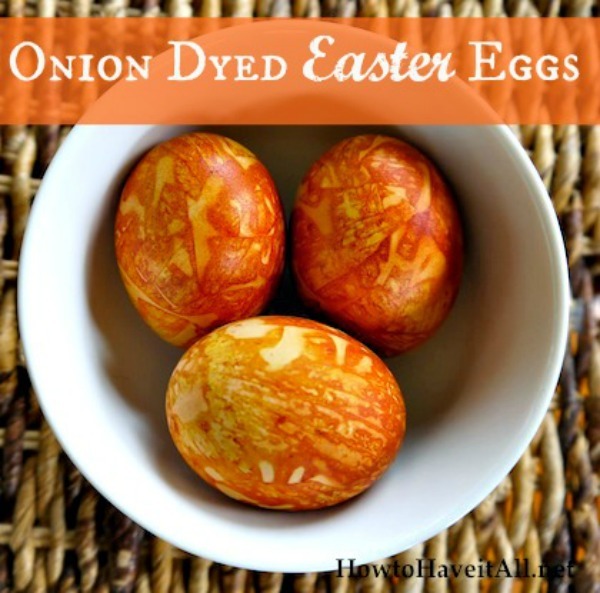 Easter Eggs Dyed With Onion Skins Learn how to dye Easter Eggs with onion skins on How To Have It All. Click here for instructions. 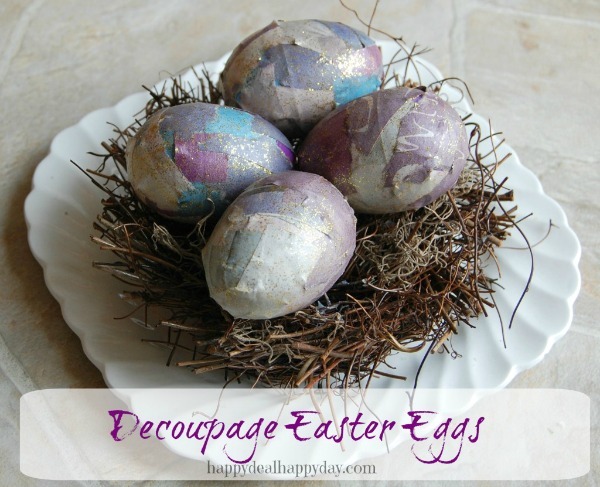 Decoupage Easter Eggs! 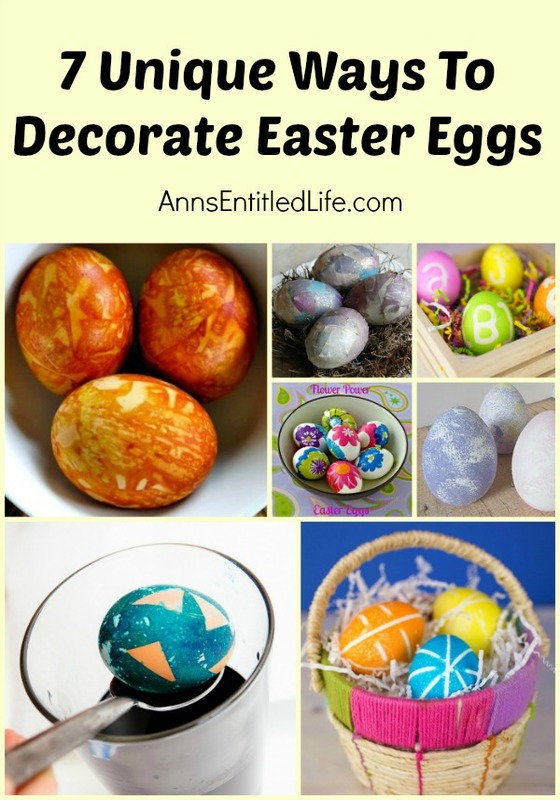 These Decoupage Easter Eggs are a fun, easy craft to do with kids! For the instructions on how to Decoupage Easter Eggs found on Happy Deal, Happy Day, click here. 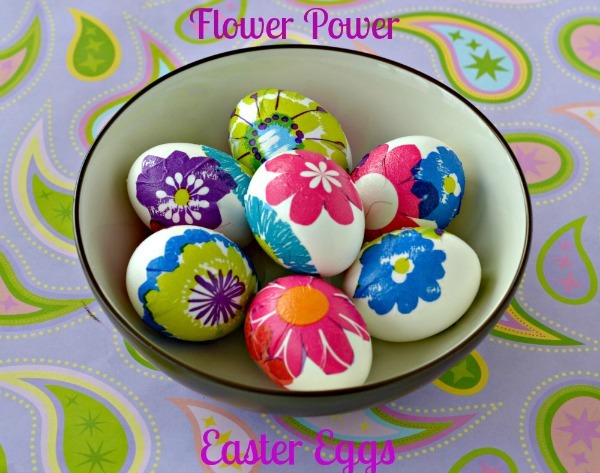 Flower Power Easter Eggs these Flower Power Easter Eggs are fun, different, and extremely colorful! The directions on how to make them (hint: it isn’t difficult) can be found on Hezzi-D’s Books and Cooks when you click here. Rubber Band Easter Eggs Easy, clean, and oh so interesting looking! 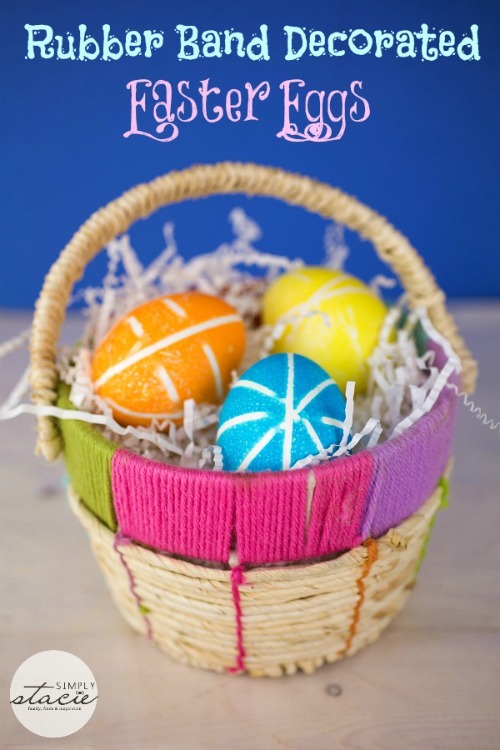 To get the instructions for these Rubber Band Easter Eggs on Simply Stacie, click here. Oh aren’t these pretty! 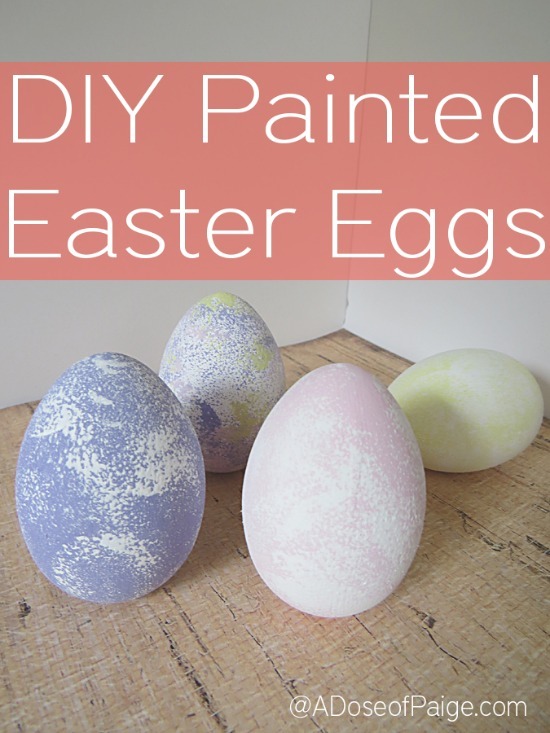 Learn how to make these DIY Painted Easter Eggs by clicking here. 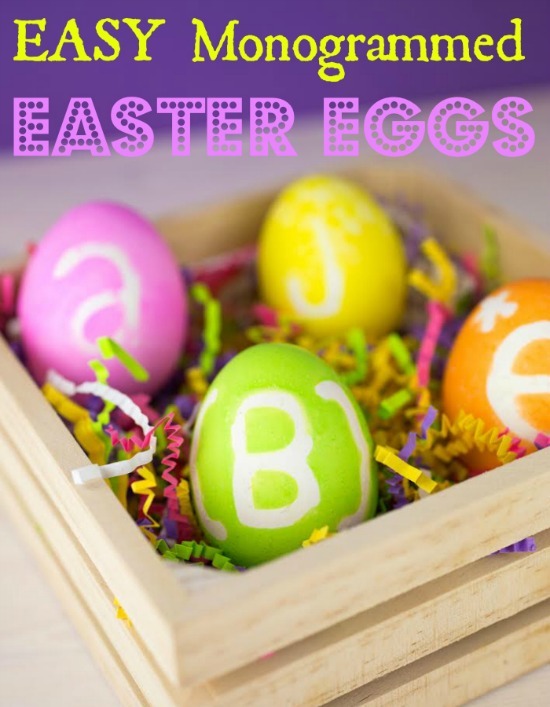 These Easy DIY Monagrammed Easter Eggs<?A> are, well easy to make! Spell out just about anything you can think of. The directions can be found on Divine Lifestyle by clicking here. These Scotch Tape Easter Eggs look so cool! 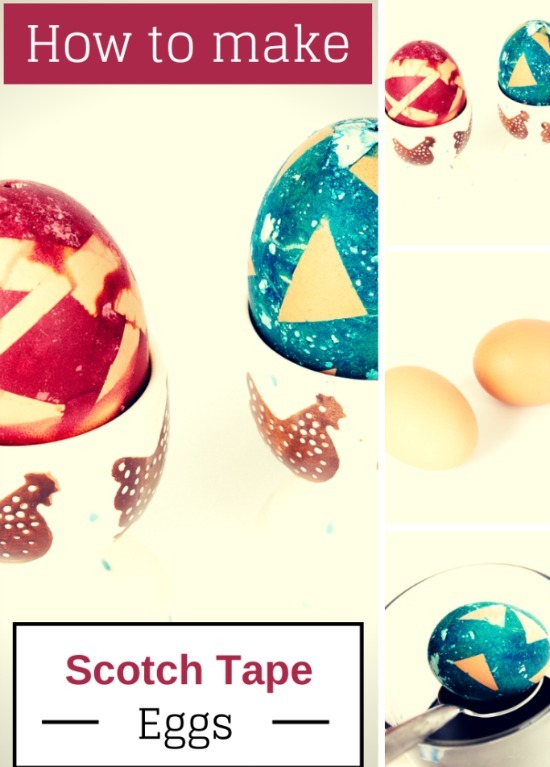 Head over to In The Playroom for the Easter Egg Decorating Ideas: Coloured Eggs with Scotch Magic Tape directions. • For more Holiday posts on Ann’s Entitled Life. click here. Thanks for the link ann! !